Many dealers and collectors from all over the country are already in Southern California for the Long Beach Expo later this week. Most will fill their schedules with auctions, attending the Superior Galleries Elite Coin Auction, as well as the Ira & Larry Goldberg Pre Long Beach Auction, trying to get a step up on competition. The Expo begins on Wednesday for dealers, and collectors can attend beginning on Thursday. Heritage will conduct the official auction at the Long Beach Convention Center. By the way, it will be warm for the next few days in Long Beach (about 80°), but there is rain in the forecast for later this week. Judging by what we have seen and heard lately, dealers are going back to basic collector coins. Problem-free key dates are always a good seller, even when the market softens. As one dealer told us, “if we are going to be heavy in inventory, we would rather have salable collector coins. There always seems to be a buyer for these types of coins.” The other side of this philosophy suggests that many dealers are not looking for the more common dates, especially dated after the 1900’s. With the average collector tightening his belt, there is not much of a market for the most common dates in the modern series. We have monitored a vast number of declines for Buffalo Nickels, Mercury Dimes and Walking Liberty Halves in the last few weeks. In this week’s HD Wholesale Market Dealer Price Guide, you will find many changes in all series. 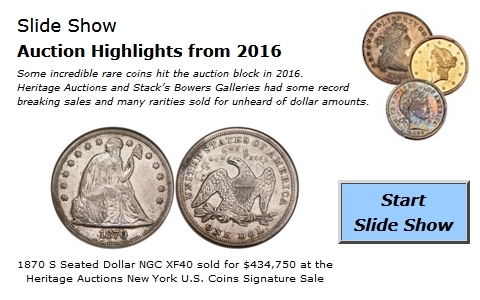 While there is still steady demand for coins prior to 1900, it looks like there is so much inventory out there that the amount of money available cannot absorb all the excess. Thus, we are finding many discounts from previous levels. A further sign that the market has slowed is the fact that high-ticket rarities are becoming more difficult to sell. Buyers who can afford these coins are slightly more selective at this time. U.S. Gold continues to lead the overall market because buyers can potentially gain profits from a rise in bullion along with the collector value when the market becomes more active.